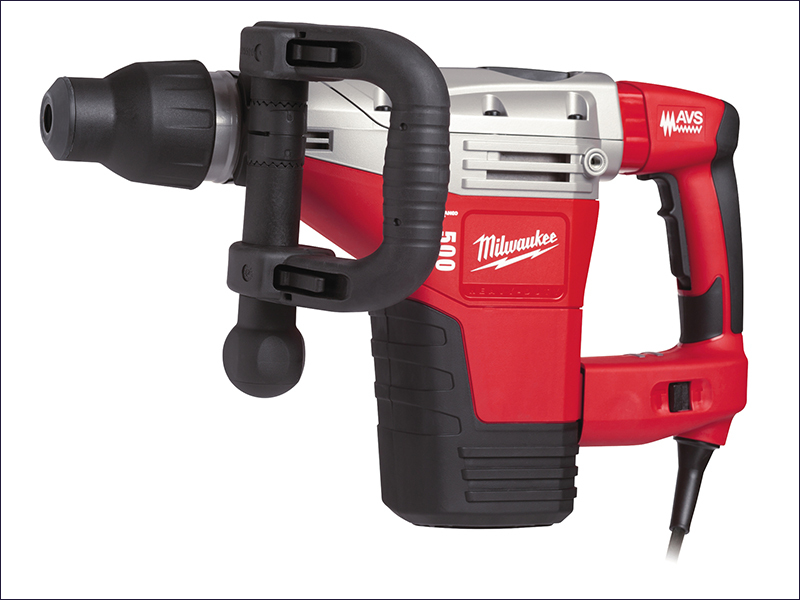 The Milwaukee Kango 500S Breaker is a 5kg class breaking hammer with constant electronics to keep the speed uniform, even under load. It has AVS (Anti-Vibration-System), soft grip on front and back handle to maximise user comfort. A lock-on switch further ensures a comfortable extended use. The Kango 500S has a D-shaped front handle, which is fully adjustable and ideally designed for chipping work. A Variolock with 12 positions allows selection of the most appropriate chisel angle. The breaker's soft hammer mode reduces blow energy for chiselling in sensitive materials, and its soft start ensures a precise start of chiselling. Blows per Minute: 2,840 bpm.